Can global control fix the water crisis? The sixth annual World Water Forum meeting in Marseille, France, heard a proposal for establishing a global water fund under the control of the U.N.During the meeting, a Philippine activist explained that privatization of water has worsened conditions in her country: “Since 1997, prices went up by 450 to 800 percent, and a year ago some 600 people died as a result of bacteria in the water because the private company didn’t do proper water checks.” A representative of a major water company disagreed, “As far as I know, the water supply in Manila has improved very much. Millions now have access to water that they didn’t have before…” (Deutsche Welle, March 18, 2012).Recent research predicts that by 2050, 1.4 billion people will live with insufficient water and sanitation. Also, 3.9 billion people, more than 40% of the world’s population, are likely to live in river basins facing severe water stress (OCED.org March 7, 2012). Bible prophecies have long warned of a coming water crisis (Jeremiah 14:3-4) and that, if nations despise God, He will make “…your heavens like iron and your earth like bronze” (Leviticus 26:19). Trusting that our own efforts will deliver us from present and coming calamities will not work (Psalm 146:3). However, at Christ’s return, He will restore the rivers and bring waters to dry lands (Isaiah 41:17-18; Ezekiel 47:1-10). Droughts and weather problems, including floods, contribute to food shortages, higher food prices, and sometimes famines. The Bible also shows we should expect to see a time of much higher food prices (cf. Revelation 6:5-6) as well as certain water related shortages that will happen later (cf. Jeremiah 14:3-4; Jeremiah 50:35-38;Revelation 8:10-11). Posted in COG News, Prophecy | Comments Off on TW: Can global control fix the water crisis? There are several interesting comments in the above. The most obvious is that apparently the USA does not believe that Iran will do what the USA wants Iran to do to prevent war. As I have been writing for a long time, since Iran is basically east, and not south, of Jerusalem, Iran will not be the final King of the South (Daniel 11:40) of biblical prophecy. Hence, since Iran is currently is one the most important Islamic military power in the world, its influence will somehow need to be eliminated or somehow neutralized (though I suspect it will likely still support the King of the South unless it is felt that too many Arab powers were involved in its neutralization). Trade sanctions, combined with a possible attack by Israel and/or the USA and/or internal unrest in Iran (and possibly all of those) will likely result in a change in Iran. And according to Hillary Clinton’s comments, such military attacks seem highly viable. Washington (CNN) — President Barack Obama’s Friday announcement that the U.S. will implement sanctions that could significantly cut sales of Iranian oil was not tied to a meeting the same day between Secretary of State Hillary Clinton and Saudi King Abdullah, a senior administration official told CNN. Numerous U.S. officials have traveled recently to Saudi Arabia, the world’s biggest oil exporter, to discuss the country’s ability to increase exports enough to make up for the loss of Iranian oil under the sanctions, the official said. Whether or not the announcing of Iranian sanctions is really a coincidence is questionable. But the fact is that the USA wants Saudi Arabia to make up any oil slack if Iran’s oil flow is slowed down or stopped. Now getting back to Hillary Clinton, it seems that she specifically is trying to urge many of the Arab powers to pool their military resources in case they need to deal with Iran. And while that probably is her objective, the reality is that the Bible tells of the rise of a military power called the King of the South (Daniel 11:40). This King of the South is apparently going to be an Arab-Muslim confederation of nations in North Africa and the Middle East (Daniel 11:40-43; Psalm 83:5-7), with apparently temporary support from Turkey and some of the Gulf states (Daniel 11:41; Psalm 83:6-7). The Obama Administration has repeatedly supported the rising power of the Muslim Brotherhood in the Middle East and North Africa, so also encouraging coordination of the militaries of the Arab nations is consistent with that. TPM and Three ‘Passover’ Dates: Which is Right? When is the Christian Passover for 2012? Thursday, April 5th, after sunset which is when the 14th of Nisan begins. Or Friday, April 6th, after sunset which is when the 15th of Nisan begins. Or Sunday, April 8th? The date of the Christian Passover has been controversial since the second century. We in the Living Church of God believe that we follow Jesus’ example, as well as those of the early faithful Christians, and hence observe it towards the beginning of the 14th of Nisan (Thursday, April 5th after sunset in 2012). But, of course, that is not when Jesus observed the Passover, nor when the original Passover was observed. Notice that the fourteenth day of the month is the Lord’s Passover and that is when the lambs were sacrificed. Hence, a dinner meal was normally in the evening (and the evening begins at/after twilight). Jesus’ acts immediately after the meal was completed did occur on the Tuesday evening portion of the 14th of Nisan and NOT the 13th as some have suggested (this is also confirmed by 1 Corinthians 11:23 which will be quoted later). And that is what we in the Living Church of God (as well as most in CG7 and other COG groups) do. There was controversy associated with the date of Passover that began in the second century. Some wanted the original date of the 14th, some wanted Sunday instead, while some others seemingly wanted the 15th. Many languages use a term meaning Passover, like pascha, and hence somewhat realize that they are supposed to be observing Easter. 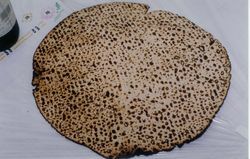 The Christian Passover for 2012 is Thursday, April 5th, after sunset, which begins the 14th of Nisan. Passover and the Early Church Did the early Christians observe Passover? What did Jesus and Paul teach? Why did Jesus die for our sins? What about footwashing? Posted in Church History, Doctrine | Comments Off on TPM and Three ‘Passover’ Dates: Which is Right? 6.7 Earthquake in Northridge California, January 17, 1994. Giant seismic zone off west coast of North America. In the last 15 years, scientists have uncovered evidence of a “sleeping” giant subduction zone (The Cascadia) 60 miles off the West Coast. The 800-mile-long fault runs from northern California to Vancouver and closely resembles giant faults off the coasts of Chile (9.5 quake in 1960), Sumatra (9.3 quake in 2004), Alaska (9.2 quake in 1964) and Tohoku, Japan (9.0 in 2011, causing the devastating tsunami). The Cascadia was believed to be “dead” because it was thought that it had generated no quakes or tsunamis in “recorded history.” However, 20 years of research has uncovered evidence of a major quake in January 1700 that caused a devastating 16-foot-high tsunami which hit Japan. Until recently, no one had understood the cause for that tsunami. Scientists currently believe there is a 37% chance of a major quake (9.0 or higher) on the Cascadia subduction zone in the next 50 years (DiscoverMagazine.com, March 13, 2012). Jesus warned that one sign of the end of the age will be “earthquakes in various places” (Matthew 24:7). The book of Revelation foretells major seismic events during the “Day of the Lord.” The second trumpet plague describes what appears to be a volcanic eruption and possibly an earthquake and tsunami causing massive destruction that will destroy a third of all sea life and ships on the sea (Revelation 8:8-9). For more information on signs of the end of the age, review our free booklet, Fourteen Signs Announcing Christ’s Return. Though I do not know when a major earthquake will happen off the West Coast of North America, I have long believed that a megaquake, which locally tends to be called “the big one,” will at some point in time hit California. And by that, I specifically mean one that is quite large and one that would be even more devastating than the Northridge quake of 1994. 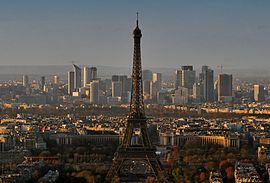 (AP) PARIS – French police detained 19 people Friday as they launched a crackdown on suspected Islamist extremists in cities around the country, the French president said, promising more raids to come. French President Nicolas Sarkozy has made a variety of public statements, including some this month (see Sarkozy: France Has Too Many Foreigners), indicating that he wants less foreigners in France and this may be at least indirectly related to that. Of course, he has also been up for re-election and some of this may have simply been steps to garner additional support. It remains my opinion that Europe will take steps to reduce Islamic influence, and arresting suspected Islamic terrorists would be consistent with that view. Back in July 2010, it was reported that France Declares War Against Al-Qaida. France also upset many Muslims related to its position on burqas (see LCG: France Burqa Ban Just Received Cabinet Approval). France is taking a stand against others it does not want. Details of a manual its government denied having a while back were leaked on how to expel France’s gypsy population out of the country (see Civil Unrest in France?). Now France supposedly has been taking steps it has related to Al-Qaeda, burqas, Islamic terrorists, and Romanian gypsies for reasons of safety, economics, and culture. But its positions often incite opposition. It may be that enough opposition will rise up and cause civil unrest and possibly civil war in France. Might civil war or civil unrest in France be next? While this may seem far fetched to many, it was something that was covered in my book 2012 and the Rise of the Secret Sect. Furthermore, certain Roman Catholics teach something called “the minor chastisement” is coming. It is supposed to essentially be major civil unrest/civil wars in Europe. And while that has not clearly happened yet, there have been riots in Paris, France this century, and more significant ones may follow. If civil war/riots/civil unrest do occur in Europe on a large scale, this likely will set the stage for the rising up of a military leader to resolve this. Catholic prophecies specifically suggest that this will happen and they tend to refer to this leader as the “Great Monarch” (or the “Great King”). I suspect that the above “prophecies” were given to encourage the European peoples to accept the “Great Monarch”/Beast of Revelation that Satan and his demons will support. 13 And I saw three unclean spirits like frogs coming out of the mouth of the dragon, out of the mouth of the beast, and out of the mouth of the false prophet. 14 For they are spirits of demons, performing signs, which go out to the kings of the earth and of the whole world (Revelation 16:13-14). People need to be warned now to rely on the Bible and not support the type of leader that the Bible warns against. This Catholic prophesied “Great Monarch” seems to have a lot in common with the prophesied final King of the North (Daniel 11:36-40, 45) and Beast (Revelation 13:1-10) from the Bible–he is probably the same person. And the Bible is clear that God’s people are not to support him (e.g. Revelation 14:9; Daniel 11:36-38)–despite the signs and lying wonders that will be convincing to many (2 Thessalonians 2:9-11). It will be difficult (cf. Revelation 14:12), but real Christians will need to “walk by faith, not by sight’ (2 Corinthians 5:7). Furthermore, it may partially because of civil war/unrest/riots/austerity that a significant de-Islamization of Europe will take place. The situation in Europe will change and the leader known biblically as the ten-horned Beast or the final King of the North will rise up, irrespective of the accuracy of any other predictions. Eventually, more seriously issues with Islam will occur in Europe and many Muslims will move out of Europe and/or convert. The situation in Europe will change and the leader known biblically as the ten-horned Beast or the final King of the North will rise up. Specifically, I suspect that protests, terrorists, and civil unrest in Europe will be factors in the actual rise the Beast, as he will be a militaristic leader cf. Revelation 13:4. Posted in Prophecy | Comments Off on France arrests 19 suspected Islamic terrorists: What’s next? Azerbaijan grants Israel use of its air bases: Prelude to Iranian strike? Israel and the USA keep playing an unusual game for two supposedly close allies. Israel apparently believes that the USA will have to support it, should it attack Iran in a presidential campaign year. The USA apparently believes that if it keeps revealing Israeli plans, that Israel will lose enough of its surprise attack advantage that it will wait. This really has been a bit bizarre. Even if Israel is not allowed to directly strike Iran from Azerbaijan, the security arrangements it now has with Azerbaijan undoubtedly will assist it presuming Azerbaijan does not switch sides. Iran, as well as its ally Syria, are becoming increasingly isolated on the world scene. And although Israel is shunned, etc. by many, the fact is that Israel still believes that the USA will back it, and is also relatively convinced that semi-Iranian allies, such as Russia will not engage in a major regional war with Iran against Israel (and while an alliance between Iran and Russia is prophesied to occur, it is not prophesied for this time–but much later). The current conflict between Iran and Israel, combined with the unrest in Syria could be setting the stage for a regional war that could have profound prophetic implications. It may be the prelude to a possible peace deal of Daniel 9:27 as well as a “backlash” helping to enable the rise of an Islamic (but not Iranian) King of the South (Daniel 11:40). Posted in Prophecy | Comments Off on Azerbaijan grants Israel use of its air bases: Prelude to Iranian strike? Passover this year is after sunset April 5th. Some diplomats say that for all his defiant attitude Mr Assad knows, and Moscow is constantly reminding him, that his recent gains bring only temporary relief, with the rebels regrouping and receiving heavier weapons from their Arab supporters. Syria, a member of the 22-member Arab League, was not invited to the summit and has been suspended from the pan-Arab body. Quelling dissent has not yet worked completely for President Assad, so he and his regime remain at risk, and are still being pushed against by the Arab League. Back in biblical times (cf. Isaiah 7:8) and current times, the capital of Syria was Damascus. The Bible shows it will be destroyed (Isaiah 17:1) and since that was written it has not been–so it will happen at some point in time. An actual war involving Syria and Israel is also quite feasible. If so, Israel may hit back so hard that it might eliminate Damascus as Isaiah 17:1 says will happen. If not, perhaps the internal rebellions in Syria will cause this biblical prophecy to be fulfilled. Either way, something will cause this to happen (including perhaps unintended mistakes by Syria’s Assad or others). So Bible prophecy in the books of Daniel and Psalms suggest that there will be some type of strong Arab-based confederation that will make a deal with a future European power for the purposes of eliminating “Israel.” And if Keith Stump’s identification is correct, Syria, who is currently out-of-favor with the entire Arab League, will somehow have to change as it would appear that this will have Syrian support. And this may signal a regime change in Syria will be needed. Much is going on in the Middle East. The King of the South will rise up (Daniel 11:40) and Syria (directly or indirectly) is likely to play a role in that occurrence. SEAN HANNITY, FOX NEWS HOST: Tonight, we continue the job the mainstream media refuses to do. That’s vetting President Obama. Now in just over three years of his presidency, our national debt has increased by more than $4.9 trillion. HANNITY: All right, so the Democrats have put forward their budget. The president put forward their budget. If you looked at these numbers, in July of 2008, President Obama said that George Bush was unpatriotic. HANNITY: — and irresponsible for $4 trillion in debt over eight years. This president has done that in less than four years. So the question remains, you know, how bad is it in and when you look at the Democrats’ plan and the president’s plan, what does it mean for the country? RYAN: It means a debt crisis. He is also saying let’s add another $11 trillion on top of what he’s already done. If you take a look at that chart, the red tidal wave of debt. Sean, this is the most predictable economic crisis we have ever had in this country, it’s a debt crisis. The Bible lists debt as a curse for disobedience (Deuteronomy 28:42-51). If Senator Ryan is correct, then the total national debt projection (which excludes personal, corporation, state, and other debt) would be $26 trillion. Since there are about 313,258,000 living in the USA, that equates to about $83,000 per person–an amount that would bankrupt the overwhelming majority of US Americans if they tried to pay it back–so they will not. Foreign creditors will not like that. The above prophecy will be fulfilled at the time of the end (cf. “The message was true, but the appointed time was long…in the latter days, for the vision refers to many days yet to come”, Daniel 10:1,14). Daniel 8:19, 11:27,29,35 use same the Hebrew term for “appointed time” as Habakkuk 2:3, while Daniel 10, using a different term, ties the latter days to the time in Daniel 8:19. Habakkuk 2 was not fulfilled in its entirety anciently. Also, it makes little sense that Habakkuk would be directed towards the modern nation of Israel as it does not have enemy creditors. It must be a nation or group of nations with some prominence at the appointed time of the end. As far as “violence of the land” as a contributing factor, this would seem to include crime, military missions, and perhaps riots/civil unrest, but might it also include promotion of violent sports and abortion? Notice that both Paul and Habakkuk seem to have tied drunkenness in with this sudden calamity (so did Jesus in Luke 21:34-35). Truly the Anglo-nations are not spiritually sober. Borrowing money that will not be paid back is a “dishonest profit” which the American and British peoples have been living on for the past several years. They will be scattered for this and their filthiness (see also Will the Anglo-Nations be Divided?). Sexual immorality and abortion are simply some outward signs of this filthiness. It is the the United States and its Anglo-allies that have loaded pledges of debt in these end times that they really do not expect to pay back. In that respect they have recently plundered many nations. Creditors rising “up suddenly” to “plunder” as discussed in Habakkuk 2 means the end of the USA. The USA is the largest debtor nation in the history of the world and seems determined to fulfill the prophecies related to the end time debtor. It cannot borrow like it has indefinitely. Even though I do not believe that Sean Hannity nor Wisconsin Congressman Paul Ryan realize how bad the USA will damaged partially because of it debts, they are correct when they indicate that the foreign debt ends the American dream as they know it. Of course, more and more, the Anglo-American nations are trusting in policies that encourage perversity. Prostitution is legal in New Zealand, Australia, and parts of the USA. New Zealand, interestingly, has the highest promiscuity rate for women in the entire world according to one study (New Zealand women most promiscuous Sydney Morning Herald AAP – Oct 13, 2007. http://www.smh.com.au/articles/2007/10/13/1191696214489.html). The Anglo-nations have seen rises in homosexuality and are often changing laws to accommodate this biblically prohibited practice. Events continue to align with biblically-understood prophecy, and even some news sources are starting to realize some of the dangers of some of the events. The end of the Anglo dominance is coming relatively soon. Can you understand what and what it may mean for you? You are currently browsing the Church of God News weblog archives for March, 2012.